See your doctor regularly to protect against cardiovascular disease. Cardiovascular disease (CVD) is the leading cause of death for adults in the United States. About 610,000 people die of heart disease in the United States every year — that’s roughly one in every four deaths — but you can protect yourself. The most common and serious types of CVD are heart attack and stroke. The good news is there are steps you can take to help prevent CVD. Here are questions you can ask yourself — and your doctor — to find out if you are at risk and how you can prevent CVD. An important part of preventing CVD is knowing your risk factors. Nearly half of American adults have at least one of the three major risk factors for CVD: high blood pressure, smoking and high cholesterol. Fortunately, there are several ways your doctor can help you determine your risk of having a heart attack or stroke in the next 10 years. Some methods for detecting CVD are more effective than others. Talk to your doctor about which method makes sense for you. Are you getting your blood pressure checked? Blood pressure measures the force of blood pushing against the walls of the arteries as the heart pumps blood around the body. High blood pressure (also known as hypertension) is a condition in which blood pressure rises and stays high for an extended time, and it raises a person’s risk for CVD. All adults should be screened for high blood pressure, and this is often done during a visit to your doctor’s office. During the screening, a doctor or nurse will wrap a blood pressure cuff around your upper arm, inflate the cuff, and listen to your heartbeat with a stethoscope placed against the inside of your elbow as the air is slowly let out of the cuff. If your blood pressure numbers are high, talk to your doctor about additional monitoring to see if you have hypertension or another health condition and if you need treatment. Should you make lifestyle changes? There are several risk factors for CVD that you can change, and your doctor can help. These risk factors include smoking, poor diet and lack of physical activity. If you smoke, talk to your doctor about getting help and medications that can improve your chances of quitting. Your body mass index (or BMI) is also an important risk factor for CVD. During an office visit, your doctor will weigh you and, if you have obesity or are overweight, your doctor can offer ways to help you lose weight. Your doctor may also screen for other conditions, such as diabetes, that are related to weight and can increase your risk for CVD. To keep your heart and whole body healthy, eat plenty of vegetables, fruits, fiber and whole grains, and eat meals that are low in salt, red meat and saturated fats. At least 2.5 hours of moderate physical activity or 75 minutes of intense physical activity each week is also recommended. Moderate physical activity can include such things as riding a bike, swimming or doing yard work or home repairs. Intense physical activity can include jogging or running, playing tennis or hiking uphill. Even if you are healthy and simply want to stay that way, ask your doctor about how you can develop heart-healthy habits. Are statins right for you? Statins are medications that prevent cholesterol and fats from building up in your blood vessels over time, which lowers your cholesterol and reduces your chances of having a heart attack or stroke. 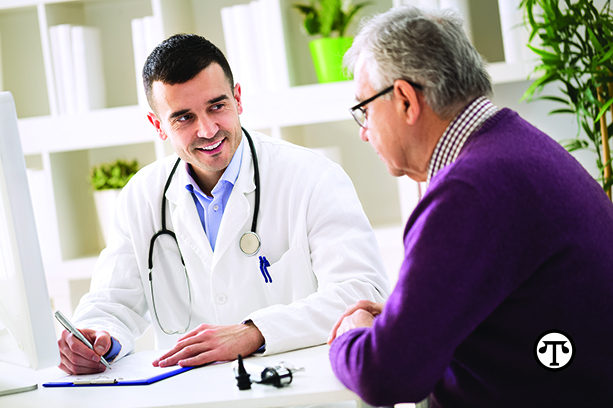 If you are age 40 to 75, talk to your doctor about your CVD risk and whether a statin may be right for you. Should you take daily low-dose aspirin? Taking a low-dose aspirin daily can also potentially help prevent CVD in some adults age 50 to 69. When blood clots form in narrow blood vessels, such as the ones in your heart and brain, it can cause a heart attack or stroke. Aspirin can help keep these blood clots from happening, lowering your risk. There are some risks associated with taking low-dose aspirin every day, so make sure you talk to your doctor about whether aspirin is right for you. Many of these recommendations were developed by the U.S. Preventive Services Task Force, an independent group of national experts in prevention. The Task Force makes recommendations based on the latest science, about what works and what doesn’t work when it comes to preventing disease and promoting good health. For further information on these and other Task Force recommendations, visit www.uspreventiveservicestaskforce.org. Be the first to comment on "Answers to questions about keeping your heart healthy"